Are you looking for uptrending stocks? I have seen many trader buy and sell shares, win and lose big money in the market. I realised that winners usually win big because they ride a big trend, and therefore I spend most of my time looking for uptrending stocks with steady fundamental. Great Wall motor is one of Mid- big cap listed in hong kong exchange, with 59Billion market cap. 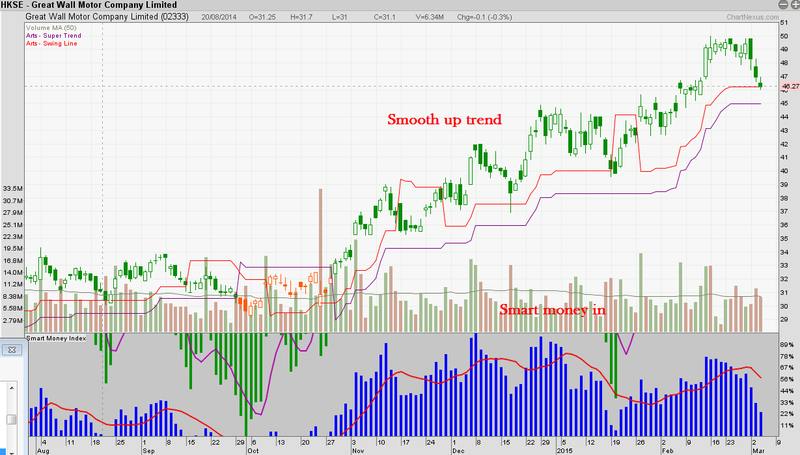 Most importantly it is on a smooth uptrend. Support level is near $45, trend remain strong unless price break $45 in near term. China & HongKong Market Outlook and Singapore Stock updates!